My life as a mother began on February 16, 2007, with the birth of my sweet Kate. I was induced with pre-eclampsia two days before my due date. Long story short, I ended up being completely dilated and after pushing, she never descended. The c-section was difficult and they struggled to get her head out. We ended up with an “inverted t-incision” and I was told the next day I would never be able to have a vaginal birth. I was also told that my baby never would have fit. She was 9lbs, 8 oz. Along with the joy I felt as a new Mom with a beautiful baby, I also struggled with sadness at the thought of always having c-sections. I worried about future pregnancies and the size of my family being limited. 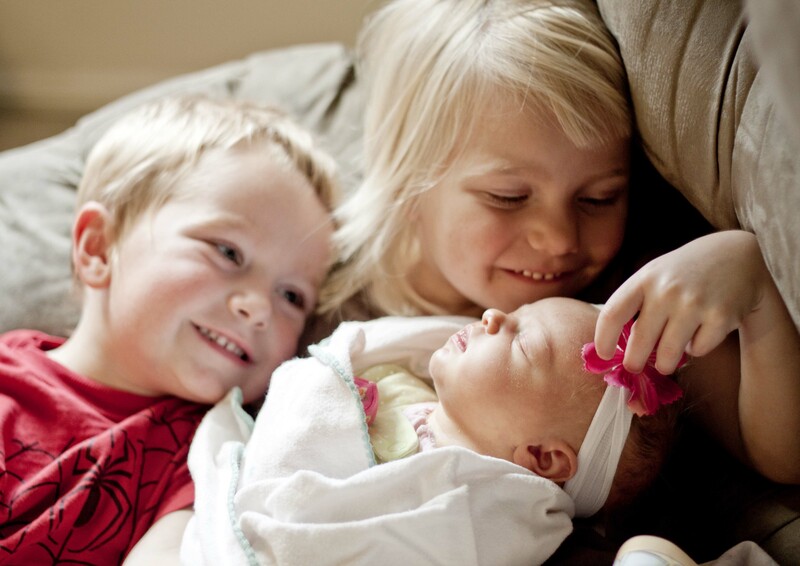 Shortly after Kate was born, we both knew that Heavenly Father had another little baby to send to us soon. I was told by the doctor to wait at least a year, but we felt so strongly not to wait. So, when Kate was 6 months old, we discovered we were expecting baby #2. We lived in another town and I started going to an OB practice. My doctor wasn’t willing to do a VBAC (vaginal birth after cesarean) because of my incision type. I reluctantly took his word for it and we planned a repeat c-section. I never had the swelling or high blood pressure I had with my first pregnancy but at 37 weeks I showed proteins in my urine. After a 24-hour urine test, my doctor called to say we would need to do the c-section the next day, April 15, 2008. 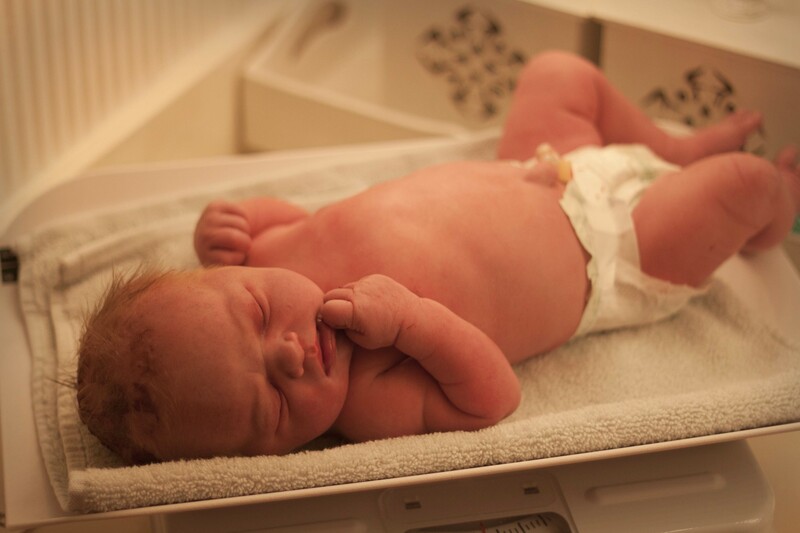 We were excited to have our baby and this time I thought I knew what to expect with the birth. I was wrong. My spinal never worked after three tries. After I cried and hugged and kissed my husband, they put me under. He wasn’t even able to be there. We both missed our sons birth. I woke up two hours later and was groggy and in a lot of pain. I vaguely remember seeing my baby for the first time, and I don’t remember very much the first 12 hours or so. Finally, late into the night, I was able to have my moment of joy with my baby and nurse him and cry at his sweet little face. This time I wasn’t only disappointed, but I was devastated at my birth experience. It shouldn’t have to be this way. The thought of my baby being born alone without his family there and being separated from us broke my heart. The recovery was harder this time, especially emotionally. I was grateful he was healthy and I was overjoyed with my baby Case, but it was difficult. I knew we needed to have more kids, but really struggled with the experiences I had had. Something didn’t feel right about it to me. I felt selfish for crying about it, but I did cry. A lot. I remember one day, (I can’t tell you exactly when) but it was one of those rare moments when I was praying and really just pouring out my heart. I was kneeling next to my bed, just sobbing. I remember softly asking my Father in Heaven that maybe one day, if it was His will, that I could have a natural birth. It was a quiet hope that I had. I knew it was against everything anyone said, but I wanted it so bad. 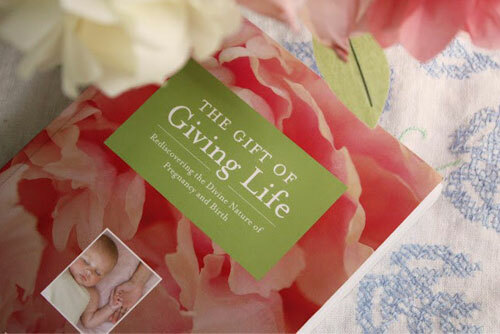 I desperately wanted to feel and experience what it was like to give birth. It was hard to explain to anyone else but I desired it. I kept that little wish in the back of my mind. I didn’t know it yet, but my prayers were slowly being answered. Over the next couple of years, I seemed to “run into” people that would contribute to my journey. My husband switched jobs and we moved into a temporary house in a different town while we looked for a more permanent place to live. I went to a relief society activity one night and somehow got on the subject of birth with another Mom named Laura. She had just had a homebirth VBA2C (vaginal birth after 2 cesareans). I was excited for her but told her what my doctor had said and that my baby wouldn’t fit and about my special scar. She challenged everything I said and cited some of her reasons and research. I have to admit that at the time, I was a little annoyed. I wasn’t used to someone challenging the things my doctors said that I believed to be true. But I was a little curious so when she invited me to come to an ICAN meeting, I agreed to go. I learned some interesting things there and liked hearing the leader Robyn talk about her own VBAC. We found a place to move to, but I still talked to Laura and borrowed her movie, “The Business of Being Born.” I seriously had it for like two months and couldn’t make myself watch it. When I did, watching the natural birth scenes made me cry like a baby. Well the whole movie did actually. It helped open my heart to more possibilities. I then borrowed the book “Silent Knife” (which I LOVED) and started to fill my head with statistics and studies and research. In February of 2011, we discovered we were expecting baby #3. 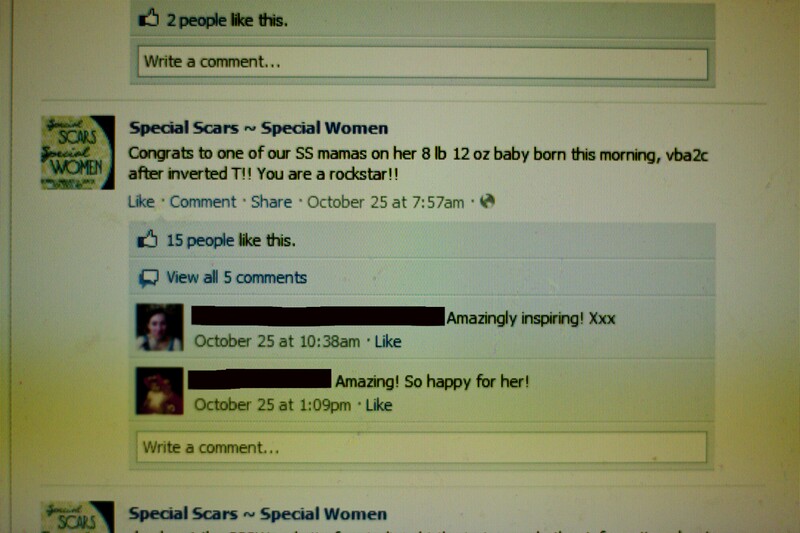 I became very involved on facebook with “Special Scars, Special Women,” a place for support for any woman with unusual internal cesarean scars. 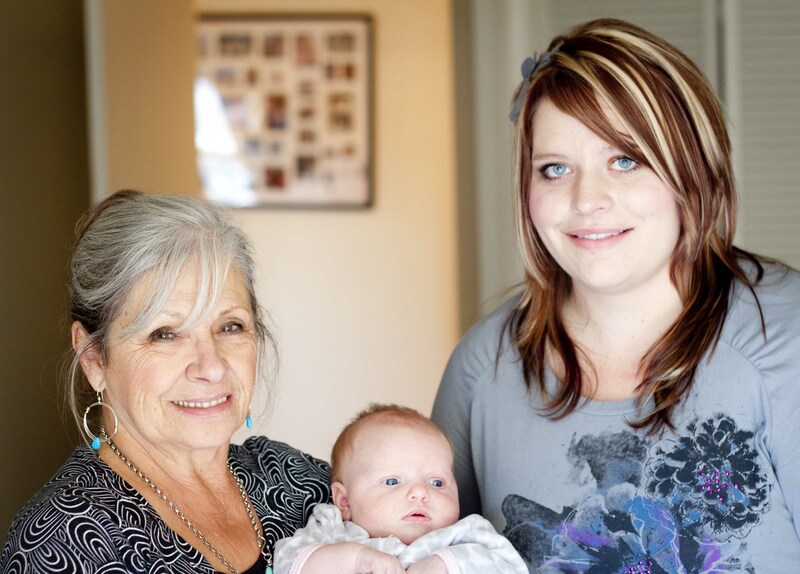 It helped to hear the stories of the other amazing moms who had had successful VBACs. These women eased my fears and I felt like if they could do it, maybe I could. I learned that the biggest challenge for women with “special scars” is finding providers willing to support them. I knew this would be my challenge as well. I started calling around. I found out that I couldn’t deliver with a midwife in Idaho or Wyoming because recent laws prevented me as I had had two c-sections. I also met with a great nurse midwife at the hospital close to me who was okay with the two c-sections but I knew the Doctor over her would be worried about my scar. There were so many hospital policies I was uncomfortable with, especially the two-hour pushing limit. My husband was great when I talked to him about it and he noticed I was a little discouraged and suggested we try somewhere else. We knew that my best chance at VBAC would be somewhere where I had freedom of movement and full support in natural birth. I was on a little bit of an emotional roller coaster with finding someone who would take me. I talked to a few midwives close to the Utah border but they were a little hesitant about my scar and my history. I kept looking and found a midwife’s number online. She had a birth center in Utah and I decided to give her a call. When I mentioned my scar, she wasn’t even concerned. She was so confident in my body’s ability to heal. We made an appointment. I was about 19 weeks along. We had a lot of time to chat with her and felt so good about her. Not only was she confident in me and my body, she was so experienced. When we left, I asked my husband how he felt about her. He said that he was so comfortable at the birth center that he almost walked into the kitchen and opened the fridge. The drive was over 3 hours, but we started making our trips to appointments. The next few months were a time of working through fears for me. It’s amazing how going through pregnancy resurfaces all of the feelings from your previous births. I would take each fear of something going wrong, research it until I felt better about it and relax. Then a new fear would come up and I would repeat the process again. My husband and I signed up for a Bradley® Class and it was very beneficial for us. The teachers were very knowledgeable and it was nice to have another resource for moral support. I definitely was a needy pregnant lady and wanted constant reassurance. I was so proud of my husband for being willing to do all of this for me. One night I had mentioned something about some things I was afraid of and our Bradley teacher mentioned that it was better to deal with those things BEFORE I was in labor. My second birth had been so emotionally difficult for me. So one night, I told my husband that I just had to get it out and try to let it go. So as we lay next to each other in our bed and I talked to him about the experience. I went through the details and the pain of essentially “missing” my son coming into the world. I relived the happy and sad moments of my births that night with my husband and I am so grateful for his patience as I cried and let go. About a month before the baby came, I started to feel doubt again. I was worried my baby wouldn’t fit. I was having a hard time visualizing a baby actually coming out. I wondered if I was making the right choice. I thought about it and realized that I had done my research, I had educated myself, I had prayed about what to do, and worked to come to my own conclusions. I realized that all of the statistics and knowledge I gained were helpful but couldn’t predict or control my personal birth. I had to humble myself once again. So I prayed to my Heavenly Father and told Him what was on my mind. I had tried to prepare as best I could and tried to follow the inspiration I felt, but in the end, it was up to Him. I realized that the outcome of my birth and this child was really in His hands. Once I acknowledged that, I felt peace and not fear. He knew me, and knew what I needed and knew what this baby needed. Around this time I also had my husband give me a wonderful blessing that gave me reassurance that everything would be okay. Sunday, October 23rd. 38 weeks. We went to church. Then we came home and took a Sunday nap. I called my midwife to tell her that I thought my mucous plug just came out. She wasn’t too worried. We took a family walk down the greenbelt. A lady from our town walked past and said, “Keep walking! It’ll put you in labor! Worked every time for me!” We laughed. Then I went visiting teaching and chatted for a while. I got home around 9. Bryan had both of our kids asleep. I took a nice warm bath and then a hot shower. While I was in the shower I felt a little different. Like a good different. Then I got out and had a really nice night cuddled up with my husband. We feel asleep around 1am. My husband left for work the next morning around 7:30. Around 8 my daughter came in asking me to get her breakfast NOW! I told her to wait a minute as I was feeling a cramp. Then it went away. I thought, hmmm…..I wonder if that will come back. Sure enough, 7 minutes later I had it again. Then I jumped up and started wandering around, trying to throw some things together just in case. Today was October 24th. What? Early? After all, I had two c-sections and I thought my body would take a while figuring out what it needed to do. I had already imagined myself trying to explain to my family and friends why I was still pregnant at Thanksgiving Dinner when my due date was November 6th. My contractions kept coming, even while I was running around. I was getting excited. My house was still messy, but I let it go. A few days ago I had scrubbed the toilets really well, set up the crib and washed the baby clothes, and the night before I had shaved my legs. I had joked that if I finished those things, we could have our baby, haha. I called the chiropractor and asked if they could fit me in. When I said I might be in labor, they said to come anytime. I got dressed and finished packing up the car. I called my husband at work and told him I was getting some squeezes. 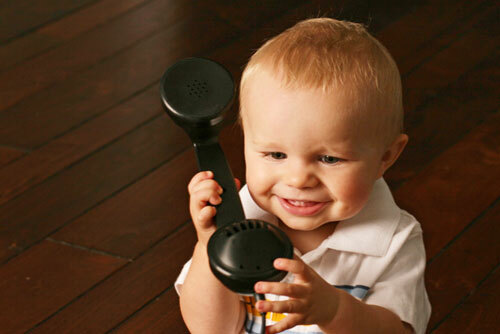 I called my midwife too and told her that we weren’t sure but they were 7 minutes apart and I was heading to the chiropractor whom was closer that direction and would keep her posted. Right as I was getting ready to head out the door, I was hoping that I had everything and wondering if this was the real deal. Then, a picture fell off of our TV armoire and down fell my birth papers I was supposed to bring with me. Right in front of me! I thought, hmmm, maybe that’s a sign. I totally would have forgotten them. I called my Mom. She would pick up the kids in Blackfoot. So we were on the road. It was a nice drive. I kept timing and the contractions stayed really consistent. I practiced breathing through them even though they weren’t that intense. I was really chatty on the way and it was nice to hold my husband’s hand and chill out a little. 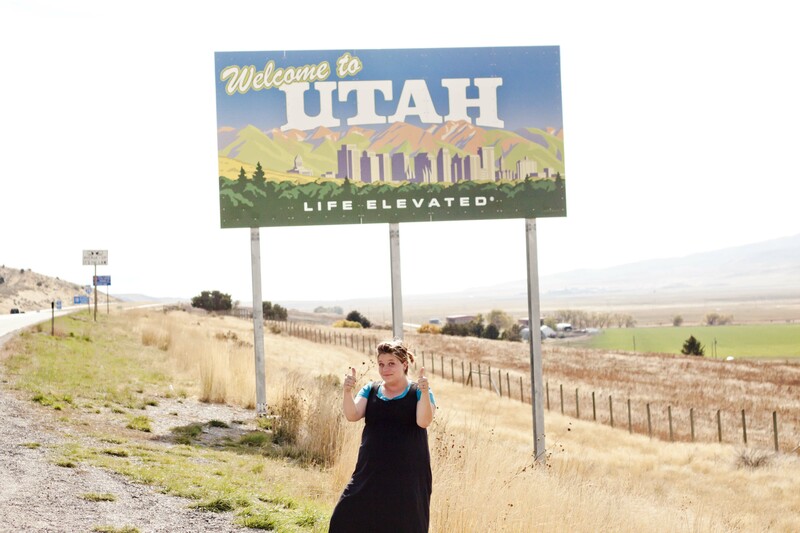 We stopped at the Utah border to get a picture. When I walked around, they got closer together but spaced back out in the car. When we got into town, we headed to get some food and snacks and some clothes for Bryan, which we forgot to pack. Then we went to lunch because I was SO hungry. We bought a car seat at Target and then we cleaned the car and came into the birth center around 5. They were close to four minutes apart. I continued to progress after a hot bath. My husband was my rock and I really needed him. I had him give me a blessing. I remember that he blessed my body to do amazing things in the next few hours to deliver this baby. I was past 6 cm and I was starting to get uncomfortable with contractions. My husband has a gift of being calm and we both knew that that’s what I would need in labor. He would just quietly encourage me and tell me I could do it. He was exactly what I needed. He rubbed my back and held my hand or did whatever I needed him to do. I really liked leaning over the ball. My favorite relaxation was to go through the colors of the rainbow through my contractions. I would think, Red, breathe in, breathe out. Then orange, yellow…and by green I would have to vocalize a little and breathe out a low “Ohhhhh…..” and by purple they would be just backing off. The low noises really helped me to cope. I laughed in between one of the contractions, as I told my husband that now I didn’t just look like a beached whale, but I sounded like one too. Relaxing doesn’t come easy to me so it was so helpful that the environment was so calm and that everyone was so encouraging. The lights were low and soft music was playing. My midwife and her assistant quietly chatted on the other side of the room. They were there when I needed them but respectful of our privacy. It was exactly what I had wanted. It was perfect. I had a few scriptures that kept popping into my head while I was in labor. One was Alma 26:12 “For in His strength I can do all things.” The other one, which I didn’t even know where it was in the scriptures, was just the phrase, “Joy cometh in the morning.” I thought that several times, joy cometh in the morning, joy cometh in the morning…..
At one point in the pool, when things were getting pretty intense, I was feeling overwhelmed and wondering how I could really do this. I leaned on my husband and looked around. I could the see the silhouette of my midwife and her assistant putting sheets on the bed. The only light on in the room was right behind them, and in that moment, I just had the strongest impression that it would be okay because I had angels here to assist me. I had them check me around 11 and I was fully dilated. I decided that now was the time the baby should move down and come out. Well it didn’t happen like that. I really never felt much of an urge to push. My body was trying to do it but every time I could feel the contractions move down and push right against my tailbone and it felt almost like they got stuck. No one was telling me what to do or when to push. Just to do what felt best. The thought of pushing with them seemed unbearable. I let my body do its own thing for a while but started to really get exhausted. I tried pushing against them, but when they peaked it was SO intense I couldn’t make myself do it. We tried just about every position we could. I was on my knees in the pool, sitting, hands and knees, standing with my husband pushing my hips together, standing and swaying, and some squatting. The baby wasn’t descending. I could feel where she was, but the water was bulging in front and her head was still a high station. Finally after a few hours in the pool, my midwife wanted us to try getting out to see what was happening. I told my husband I wanted him to give me another blessing. I was starting to get a little afraid. He put his hands on my head and while I don’t remember everything he said, I do remember him saying that I would be blessed with power from Heavenly Father. My memory is a little foggy but then we got out of the pool and onto the bed. My midwife wanted to feel the pushing to see if it made progress. That was not fun. She suggested we go back to the bathroom to get the baby down. The contractions were really wearing on me. I remember thinking that I didn’t like anyone who had ever told me that pushing was the easy part. I didn’t know what to do differently at this point. The baby was still high, and it was getting unbearable for me. I had been fully dilated for at least 3 hours with little progress. Thankfully, her heart rate was great. My midwife quietly told me, “Honey, if this baby doesn’t come out, it’s not your fault. You have really have done everything you could.” She said we would wait it out and maybe try breaking my water if I wanted. Her saying that really made me work harder. I knew that I either had to push this baby out now or possibly have to go through the agony of dealing with the contractions on the way to a c-section. I really wished I could just turn them off for a few minutes. I was standing as the next contraction started. So facing the toilet, I grasped the sides of it. Right at the peak I squatted as hard I physically could. My water sac broke and splashed on the floor. I had another rush right with it and worried that my baby wouldn’t come out if I backed off, so I pushed into it. I used every ounce of strength and energy I had. It hurt like no pain I have ever felt and I yelled very loudly as I nearly pulled the toilet off of its bolts. I could feel my baby’s head moving down into the birth canal and definitely felt the “ring of fire” as she descended all the way down. It was so intense that I couldn’t vocalize to anyone what I felt. All of my attention was on that single push. I felt my baby come down and emerge before I could even comprehend what was happening and I looked down to see her whole body slide out. It was that fast. And there she was, pink and crying and beautiful. I was so shocked that I didn’t know what to do. I felt frozen in place. They tried to hand her to me but I was shaky. They sat me down. I was dazed. I remember my husband looking happily into my eyes crying tears of joy and telling me that I did it and that he was proud of me and loved me. I’m so glad I didn’t miss that moment. My midwife said I needed to lay down and they helped me onto the floor. I couldn’t raise my head but they set my baby next to me and she was able to nurse. A little pressure and my placenta was out. I was really feeling woozy. I was looking up and they were telling me, “Stay with us, stay with us.” It was hard to keep my eyes open. I heard my midwife tell her assistant that she might need to call in to transport me. I pleaded inside to be alright and come out of this. We were blessed with more miracles and shortly I was able to pink up and feel better. Later they told me that my placenta had probably partially detached, and that’s why I had so much bleeding. They helped me into the bed. I called my Mom and Dad and for the first time was able to announce the news myself. That was special for me. She was born at 3:31 am and was 8 lbs, 14oz, and 21 inches long. My midwife told me later that babies just don’t come out that fast when they are at that high of a station. I asked her how often she has seen that. She said, “Never. NEVER.” And she’s done it for over 30 years. They jokingly called her the “cannonball baby.” Our baby had a pressure bruise on her forehead and swollen eyes where she was hitting the end of my back. I think she was a little caught up and once we got past that, it was quick. My husband said that he was completely shocked. He didn’t even see her crown, he just saw a whole baby at once. My husband slept with the baby on his chest while they finished stitching and cleaning up. Then I slept from about 6 to 7:30 am. When I woke up, the light was coming into the room and I could finally lift my head up. I had them bring me baby and I sat up and held her to my chest. I cried happy tears over my sweet baby. She was so beautiful. I was still so exhausted from all of the hard work and all I could think about was my Savior Jesus Christ. For the first time in my life, I really felt was it was like to be pushed to my complete physical and emotional limit. The only thing I could compare it to was Christ’s offering for me. I felt so humbled to have served as His daughter in bringing this beautiful new life into the world. I felt such a closeness to Him as I could only begin to imagine what he had to endure to bring me everlasting life. As much as I had wished the moment of pain and agony away, I had realized that for once, only I could do this. No one could have done it for me. I needed to go through this to feel the ultimate joy that accompanies the sacrifice. I shed tears over the thought of this. Many people wonder why I chose to go the route I did with my birth. There was a lot of differences with this birth. One thing my husband said was that this time he didn’t feel fear. We were able to let our daughter come on her own time in her own special way. We felt guided and inspired the whole pregnancy and knew that this was exactly the experience that my husband and I, and my little one needed. I now look upon my baby girl and feel so much gratitude for such a wonderful gift. Heavenly Father knew I needed this baby. Something that really stands out to me is that in my other births before I felt powerless, but now I feel so empowered. As each day passes, I am more excited as I recount all of the precious details in my mind. I feel that I have been a part of something amazing. I almost feel like a new person, almost like a new light has been breathed into me. We named our baby Holland Hope. Holland, for my Dutch ancestors, and Hope for fulfilling my own hope of one day having a natural birth. I would like to thank my best friend and husband Bryan, for loving me and believing in me, my beautiful children, Kate and Case, my sweet new baby Holland, for my mother for her sacrifice in giving birth to me , our parents and families, my amazing midwife for her confidence and faith in me, her awesome assistant who helped with the birth, the other wonderful women at the birth center, my Bradley teachers, Idaho ICAN, Special Scars- Special Women, my friends, and most of all, a very loving and merciful Father in Heaven, who, even with my weaknesses, has loved me enough to give me the desire of my heart. Thank you. Aw, congrats Mandy! I would love to know what birth center she used, because I was under the impression that there were none here in UT that were allowed to attend vba2c. Oh Mandy, This is so beautiful. You totally made me cry. What a beautiful gift you were given and what an inspiration you will be for other women. The Lord really does care about his daughters and his children so much. Thank you for sharing your story. You certainly are a rock star! God is so good, this brought tears to my eyes, His faithfulness and grace are overwhelming! <3!! Wow, what a wonderful birth story. Such a great example of following the spirit in ones birth journey. Thanks so much for sharing! I was a little nervous to put my heart out there, but I’m so glad to see it shared. Thanks for all of the hard work that you women do. I can’t wait to read your book! What an amazing birth story! I love your words “only I could do this. No one could have done it for me. I needed to go through this to feel the ultimate joy that accompanies the sacrifice.” I’m so happy you got to experience this! Mandy – that was a beautiful story – VERY empowering! Thank you for sharing. Blessings! I can totally relate to your desire for a natural birth. I’ve had five C -sections, and know that we aren’t finished yet. My longing for a midwife assisted, natural homebirth, almost overwhelms me! I can’t imagine that ANY one will help me with that, or that it is even wise in my case – I had a dehisance on the scar with #3. I’ve never heard of a VBA5C. I don’t know what else to say. I just understand the longing. And the desire for an empowering birth, rather than having it taken from me. Again. Congratulations! And thank you for sharing your incredible story. It is hard when you want a VBAC after multiple cesareans. There are a small number of midwives who would support you, but it could be challenging to find. However contact your local ICAN group and maybe they can help. If you choose to have another cesarean, know that they can be spiritual and positive as well. You can read a section in the book which I wrote about that. It is actually one of the chapters available online. Look under Read Excerpts for Creating a Sacred Cesarean.